Recently, President Obama called for a series of reforms directed at reducing the cost of tuition at the nation’s universities. Most public institutions are already operating with minimal state support, and these latest demands to cut costs and improve efficiencies, are, one hopes, an attempt by the president to take over the reform agenda from those who use it as part of a larger plan to reduce the role of government in all areas of life. Some members of this alleged reform effort also champion private, for-profit online colleges as an effective means to make college education more available and affordable, despite the low graduation rates and high student loan burdens that are frequently associated with these institutions. Of course these schools rely almost entirely on distance learning. Whether or not they are effective, overall, as educational tools, rather than as inexpensive delivery systems, is a matter of debate. But for those whose only bottom line is the one with dollar signs, distance learning will always be appealing. 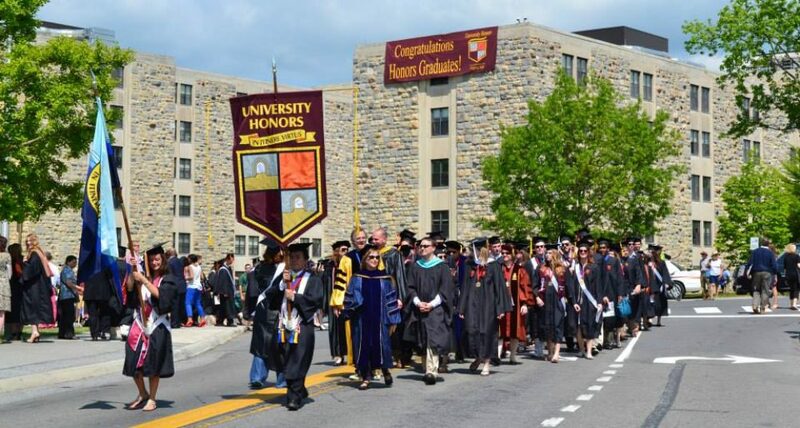 (3) An approach that includes somewhat more online instruction but retains the essential, more personal quality of an honors education will generally prevail. Some universities, notably the University of Central Arkansas and the University of Maine at Augusta, already use distance learning in honors education, with good results. Many others require honors students to develop digital portfolios that involve the students in a process of reflection; this process not only allows students to collect and synthesize what they have learned but also to discover new connections along the way. Even so, too much emphasis on digital learning will change the essential nature of the public honors hybrid. The combination of high-level research and a liberal-arts atmosphere would surely suffer if direct personal contact became significantly less frequent. This entry was posted in Honors and Learning Technology and tagged College tuition costs, honors education, President Obama, technology by Honorsadmin. Bookmark the permalink.